Fort Campbell North, moving northeast at 50 mph. Locations impacted include: Clarksville, Cumberland City, Indian Mound, Palmyra and Woodlawn. A Strong Thunderstorm has been reported North of Fort Campbell Kentucky. 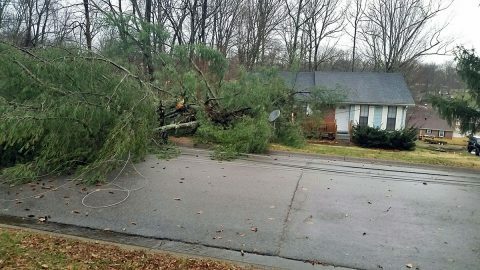 Clarksville, TN – Strong winds from the early Tuesday morning storm brought down trees that damaged several buildings and injured two people. The local emergency operations center was activated shortly before 6:00am and remained open until 10:00am. Forty-two storm-related calls-for-service were logged. Falling trees damaged two house trailers on Riley Road, trapping several people inside one of the homes. 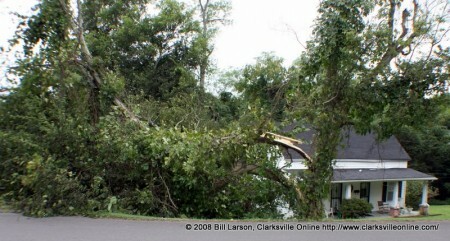 Early morning strong winds knocked down several trees in Clarksville. 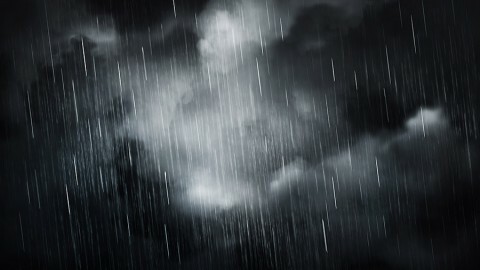 Nashville, TN – The National Weather Service (NWS) reports scattered showers and thunderstorms will spread across Clarksville-Montgomery County and Middle Tennessee during the day on Wednesday, March 30th, becoming more widespread and heavy Wednesday night. Some storms will likely produce heavy rainfall with rainfall totals of 1 to 3 inches currently expected. This rainfall may lead to flash flooding in some areas. Nashville, TN – The National Weather Service (NWS) reports a strong cold front is forecast to move out of the Mississippi River Valley and across Clarksville-Montgomery County and the mid-state today. As the front approaches you can expect southerly winds to increase through the morning hours and into the afternoon. Sustained winds of 20 mph will occur with occasional gusts as high as 30 mph. 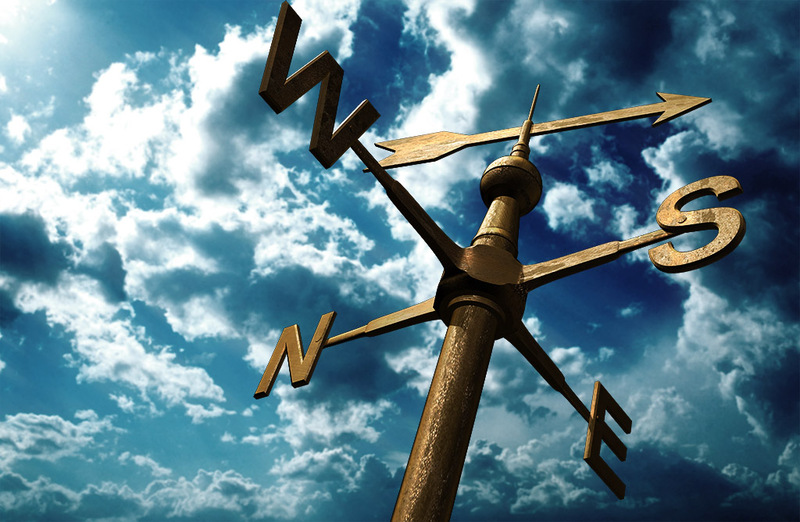 Winds this high can blow over unsecured objects like trash cans and lawn furniture and blow down small branches. Sustained winds of 20 mph will occur today with occasional gusts as high as 30 mph. Nashville, TN – A strong cold front will move across Middle Tennessee late this afternoon and evening, bringing with it widespread activity and the possibility of severe storms. Given the highly-sheared, weakly-unstable environment expected ahead of the front, the primary threats are severe straight-line winds and isolated tornadoes. 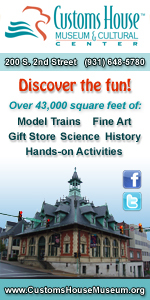 The remnants of Hurricane Ike swept a wide curve west of Montgomery County before racing northeast and away. Along the way, though, its winds, gusting up to 60 mph in the Clarksville area, whipped a flurry of branches, pine cones and other debris into yards and across roadways. Rainfall from Ike was minimal here as well. One unlucky homeowner on Powers Street fared less well than most, as mature tree had a huge portion of its limbs torn off by Ike’s windpower.